I’m sitting here watching CNN about a story on landmines in Afganistan. The news reporter shares a shot of video with a truck going by some some children on there way home from school, suddenly there is nothing but an explosion of fire filling the video screen. In the war, our troops are taught all sorts of things; to be prepared for anykind of danger that they might encounter. In another video clip, it shows the troops being taught how to look for landmines. They are taught to pay attention to a ” red” wire. If they see it, to avoid getting any closer to it, or anyone around them. Knowing the color could save their lives, or someone around them. My best friend Kat, she was born color-blind. She is unable to see blues and greens. Her son and her husband both have blue eyes. She can only see bright diamonds when she looks into them. Can you imagine for a moment, knowing what color to look for, but it being impossible for you to see it? To know what color your loved ones eyes are, and hearing what others say about them, but not being able to experience it for yourself? She has her own way of deciphering colors though. She uses her wedding ring, and she holds it up to the color she is looking at. She taught herself how to see the colors she can’t see. I’m looking out at the blue sky right now, and realize how very blessed I am to have been able to see it. I don’t see it, because someone told me that it was blue. I see it, because I was born to see it, the way God wants me to see it. In dealing with religion for a moment, to supposed to a real true relationship with God; there are colors that God wants to show us, within our faith. And if religion plays a role in this, if there are a myriad of traditions, and rituals…we may miss the part God wants us to see entirely. I hope this is starting to make sense, I know its a tough concept, but it has been waring on my heart for awhile. I have to encourage others to make their ” faith” their own, I actually plead with anyone to. I had to learn through the deepest wilderness who God really was to me. It was horrible. I was in the wilderness of ” false prophets” before I would begin to see God the way He wanted me to. Yes, we do learn about God through Godly people, BUT we have to remember that talking about them more than what God SAYS; it places them higher than God. I didn’t really know anything other than what my parents, or my church taught about God. My Pastor and his wife taught me so much over the years; but it was more of what they TOLD me I should believe instead of me KNOWING the WHY I should believe it. Because I didn’t BELIEVE God for HIS Word; Because I didn’t know it in HEART knowledge but only MIND; I missed out on the true color of salvation, I missed out on knowing the actual color of Jesus’s blood. I created a landmine for myself, and I stepped right in it; because I didn’t recognize the color. I didn’t recognize the color of danger in front of me. We have to have knowledge that we need to see life in the color God wants us to. We have to acknowledge the traffic light in front of us; and GO only when its green, and so on. And when the Holy Spirit, that is also that still small voice inside us tells us to STOP to NOT GO ANY FURTHER; we need to heed that warning; and PAY ATTENTION!!! I fell into the religious trap, because I knew when there was warning when my church told me, but I didn’t know when I was all alone, on my own, 25 miles away. Eventually, this faith I had; which now I look back on it, was a make shift idea of what I thought, ” Faith” was; it wasn’t enough to save me. I had fallen victim to who I THOUGHT God was, and there were people who took advantage of that. I had fallen into such a deep pit, that the only way I could escape was through fire, figuratively speaking. I ended the relationship with this religious cult, and they did all they could to mess with my life after. I ended up losing my job, and being forced to move from the area. God physically removed me. What Satan tried to use for EVIL, God used for GOOD. I have an amazing job now, and I am back close to my home…I back close to my church. But what I am trying to share with you here is, so many times you hear God placed into a box. If you are an adult who teaches about faith, or mentors others; I am sure you know that it is very serious to make sure you don’t ” influence” others in such a way that doesn’t make everything they learn from you not, ” Biblically” sound. I have been taught for the last 11 yrs the right and wrongs according to the Bible, but I was taught according to the Bible by what my Pastor and his wife taught me. That was my fault. I should have opened the Bible and saw for myself. It was actually a prayer someone prayed for me, to make my faith my own. But I don’t think they had any idea how that would come about. If it wasn’t for facing the false prophets…I would not have found myself so deep in the wilderness that I would have no choice but to hear God’s voice Himself. I let myself doubt a little of what I was learning, and then it took off like a tidal wave. So today, instead of thinking back to the message you learn from church, or your favorite bible teacher, or maybe even some radio host…think back to what YOU know about the Bible, about God, and about His story. There is so much He wants us to see, that unless we allow ourselves to see Him, without the help of holding someone’s hand…we will never get the full measure of. Start by looking at the blue sky…and then go ahead and read Genesis. This is something my very dear friend said to me yesterday, and it holds a lot of truth. There is always hope. There is always love. There is always God. And there are always second, and third, and zillionth more chances…to get it right. 6-7He said this and then spit in the dust, made a clay paste with the saliva, rubbed the paste on the blind man’s eyes, and said, “Go, wash at the Pool of Siloam” (Siloam means “Sent”). The man went and washed—and saw. 11″A man named Jesus made a paste and rubbed it on my eyes and told me, ‘Go to Siloam and wash.’ I did what he said. This entry was tagged Bible, Blind man, church, colorblind faith, faith, God, Love, Pine Ridge Fellowship, Religion vs. Relationship. Bookmark the permalink. ← A video about simpler times….you’ll get it. Interesting analogy. Thanks for sharing your story, how God has worked in your life. He is so good! That was amazing. Seriously. I recently put aside my huge pile of reading material and simply endeavored to read the Gospels. If reading Matthew, Mark, Luke and John doesn’t make you fall in love with Jesus all over again, I don’t know what would. 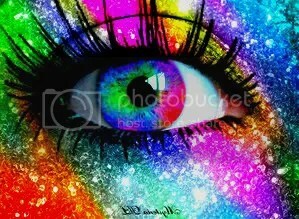 Love the colors analogy, and the seeing colors for ourselves, not thru someone else’s eyes. Dependence on others in the things of the Spirit is dangerous. Independence from others will get us killed. I need the team in case someone else spots the red wire; but I also need to be able to see the red wire for myself. What a great testimony you have for those also trapped in cults or controlling churches. My husband’s family broke away from a controlling church seven years ago. It wasn’t affiliated with the common cult branches, but was very possessive and leadership controlled over its members. It’s amazing the magnitude of mind control that happens there. It’s disgusting, really. We have good friends still involved and they honestly can’t see the unusual grip on them from the church’s leadership. Keep sharing your story with people. They might be the same way – involved in a place that controls their mind and provides absolutely nothing worthwhile spiritually. amazing testimony! so glad you were SAVED! beautifully written, ang. and it makes complete sense! CKroboth: Yea, I see what you are sayin’, and you are right, but for me it was about holding onto someone’s hand and just trusting what they had to say before God. My church family are amazing, but you understand what I mean. Tam: I just love you. I have been waiting for a long time to hear from you on this. I’ll write you more off the blog, but THANK YOU!!! God saw to it that first i was a child dependent upon others, now as a man i am dependent upon my self – and on Him directly, not through the vision of others. When i was i a child i ‘saw’ as a child, now i am a man i see differently – i know i am FREE to chose what to keep and what to discard – it is to be my choice, not the choosing of others. God displays himself to me and it is up to me to SEE Truth – my Truth in Him and His in Me. That as a human being i am not seeing TRUTH as God sees it – but as a weak fallible human being with an ego sees it. In this i am to remain forever humbled. what i see is not ‘real’ but a fabrication and a filtering of all that is, through my own brain – i don’t see ‘clearly’, but through a glass darkly (1 Cor 13:12) – only see what my brain has learned through my past to ‘see’ and create as it saw fit to. if i bear that constantly in mind – in my awareness at all times then i can have a better understanding of God and what His Will for me may be. while i am in this flesh, i shall be forever reliant upon Him to see what is ‘True’, not what my eyes see or my ears hear. As an example of what i mean… the sky is NOT ‘blue’. the sky (air) is completely clear, unless polluted. God shows us this at night when we can see the blackness of space and the brilliance of the moon planets and stars – no blue in sight. The blue we see is but a scattering of sunlight caused by the millions of atoms it has to pass by to reach our eyes and our brain ‘see’s this as appearing ‘blue’, most times. Most of us are happy with the ‘suggestion’ that the sky actually IS blue since we all ‘know’ what the others who call it such mean – we all share the same delusion. That does not mean as humans we all have it exactly right – that it is True as God sees it, just that others ‘agree’ with us for convenience. This world and our brains are VERY tricky things at times – we often fall for lies and deceptions down here. Sometimes it is our brain that tricks us most convincingly!.